D’Kei’s Royal Collection of trimmings is a collection of traditional trim in 8 beautifully blended designer colorways that have stood the test of time and remain best-sellers. 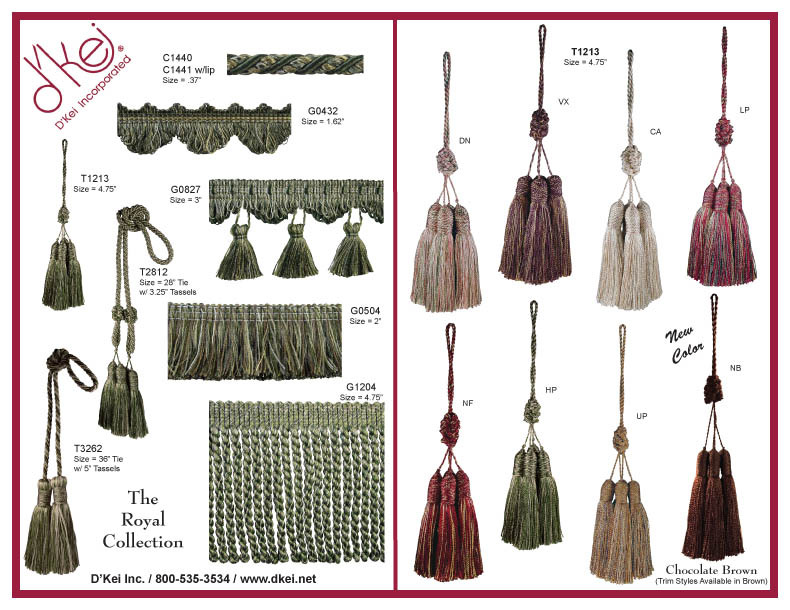 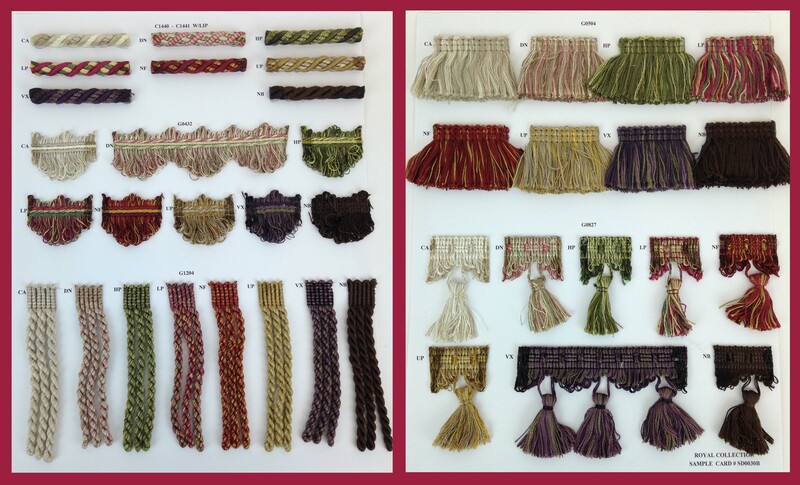 The Royal Collection offers tassel fringe, brush fringe, scallop fringe, bullion fringe, and decorative cording. It also features a classic multi-tassel key tassel, multi-tassel chair tie and a regular 2 tassel chair tie.